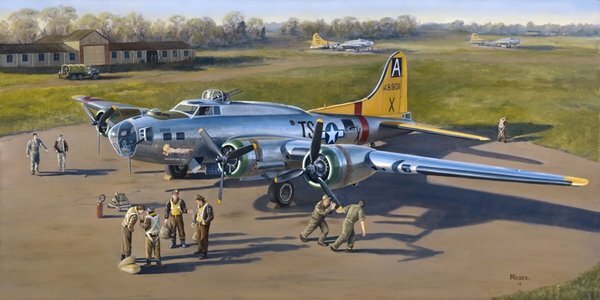 Canvas - Rolled: Size 40" x 20"
Rougham Airfield, for a mission to Germany. 30"x 18" Paper print. : $120......….